Sun protective clothing is popular. Different people choose to wear protective clothing for many reasons. For some careers - medical personnel, firefighters, laboratory workers, etc. - it is a professional necessity. Any career that may come into contact with hazardous substances such as chemicals, bodily fluids or waste products may also use some form of protective clothing. Veterinarians, teachers, janitors and postal workers, for example, use at least some form of protective clothing for certain tasks or in case of emergencies. Other individuals, however, may have personal reasons for wearing protective clothing. For example, parents may choose to wear face masks and disposable gloves when caring for sick children to help limit contagion. Gardeners may wear insect-repellant clothing while working outside, and many people choose to wear aprons or gloves when doing household chores to avoid unnecessary contact with cleaning chemicals. Some people may have excessively sensitive skin, and wearing protective clothing can help reduce irritation or allergic reactions. Protective clothing such as shoe covers can even be used to protect floors and carpeting in model homes, or they can be used to keep expensive footwear dust-free while not being worn. The most common type of protective clothing, however, is sun protective clothing - items to help limit harmful exposure to excessive radiation. Many people choose to wear this type of protective clothing to reduce the risk of sunburn or skin cancer, or just to protect sensitive skin from excessive irritation. Buying protective clothing online is quick and easy, and there is a much wider selection of sizes, materials and styles available than may be found in a local medical supply store, the cleaning aisle of a discount retailer or in a specialty store that provides protective gear. By shopping online, individuals can choose the types of clothing that best suits their needs and budget, and can choose from a wider range of applicable merchandise from the convenience of their home. Many specialized types of protective clothing may be hard to find locally, and buying online lets interested shoppers find just what they are looking for. By understanding what specific qualities are necessary for the clothing, it is possible to buy protective clothing online that will meet any safety needs and requirements at a good price. Lakeland Industries, Inc.: Chemical protective gear, heat protective clothing, reflective gear and more. Bug Baffler: Outdoor clothing to guard against insects. Bergeron Protective Clothing: Firefighter turnout gear and other equipment. MPE Safety Apparel: Protective aprons, jumpsuits, shoe covers and other clothing made from recycled materials. Superior Glove: Wide range of protective gloves for different needs. Oak Gloves: Protective gloves for different industries, including hair care, laboratory work and food service professionals. Scrubs and Beyond: Medical scrubs and lab coats for hospitals, veterinary clinics and dental offices. Uni First: Scrubs and other medical protective clothing. All Heart: Medical masks, scrubs, lab coats and other equipment. 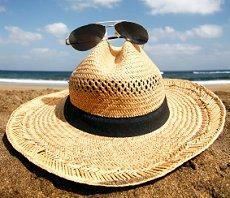 Coolibar: Sun protective clothing, hats and sunscreens. UVSkinz: Protective hats, infant wear and sun protective clothing for the whole family. Sun Precautions Clothing: Sun-blocking clothing including skirts, jackets, hats and more. For specific types of protective clothing that cannot be found through these Web sites, it is best to ask for recommendations from the workplace or to conduct searches for specific garments to find competitive retailers. Buying protective clothing online is convenient, confidential and more comprehensive than visiting most local retailers. By understanding what types of clothing are necessary and comparing available brands and designs, individuals and companies can ensure they are getting the safest deal.